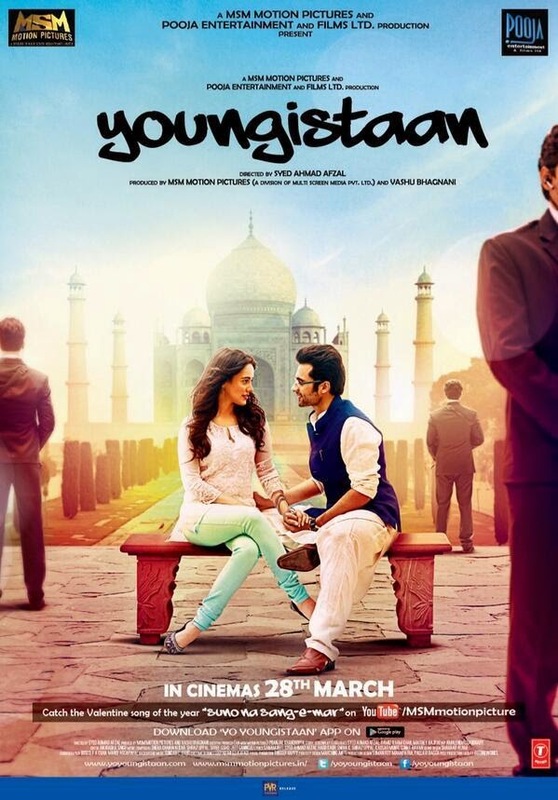 Home / Mixed Bag / YOUNGISTAAN - Preview ! Jackky Bhagnani, son of Indian producer Vashu Bhagnani is yet another assistant producer turned actor. Jackky won the 'IIFA,Star Debut Award' in 2009,for his main role in Kal Kissne Dekha.In this movie he is paired against Neha Sharma, who was last seen in 'Yamla Pagala Deewana'. "Youngistaan', essentially a love story set in the backdrop of Indian politics, is the story of Abhimanyu Kaul & the love of his life, Anwita Chauhan. Abhimanyu Kaul, a young boy living an ordinary life in Japan, finds himself in the political spotlight due to the sudden death of his father, the Prime Minister of India. Travel with Abhimanyu, as he struggles to balance his complicated personal relationships with the political resistance against him from within his own party. The film is believed to be a remake of the 2010 Telugu film 'Leader' written and directed by Sekhar Kammula with debutant Rana Daggubati in lead. Shah Rukh Khan plays a cameo as himself, in this movie. Directed by Syed Ahmad Afzal. The soundtrack features 4 songs, composed by Jeet Ganguly (Aashqui 2), Shiraz Uppal, Sneha Khanwalkar (Gangs of Wasseypur), Shree D and Ishq Bector (Besharam). Lyrics have been penned by Ahmad Afzal, Shakeel Sohail, Kausar Munir and Jackky Bhagnani. This movie is all set to release on 28th March in theaters near you.